Get the most out of your Nissan factory bed extender and TruXedo tonneau cover with this handy bed extender adapter kit. The Nissan bed extender adapter kit modifies the mounting location allowing the factory bed extender to work with your new TruXedo cover. 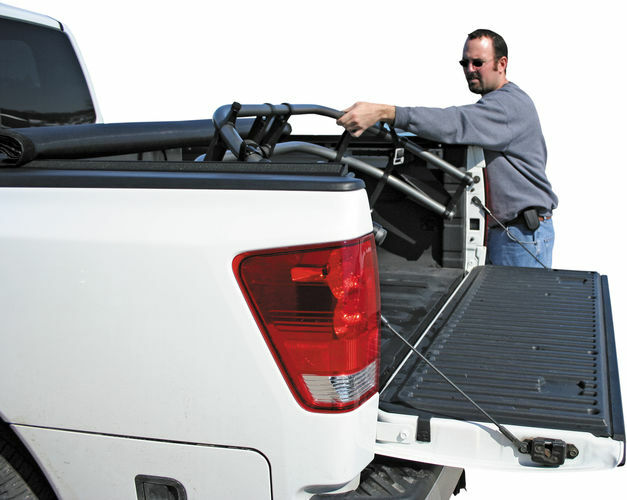 The TruXedo Nissan bed extender adapter kit is simple and easy to mount with simple hand tools. Constructed from aluminum the adapter kit will not rust or corrode. This kit will work only with the Nissan factory bed extender on the Frontier and Titan pickup trucks.